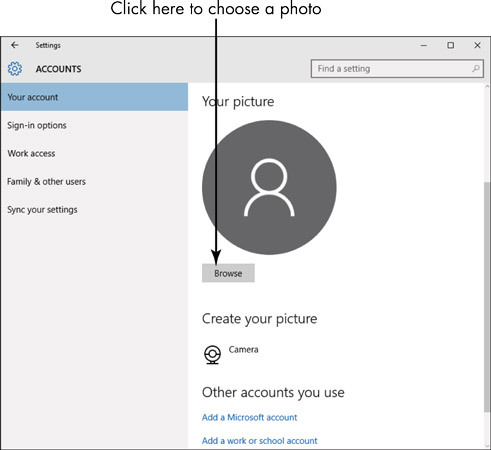 Windows 10 allows you to assign a unique picture to each user account you create. When you perform these steps, you should be logged in as the user for whom you want to change the account picture. Press the Start button and then click Settings. 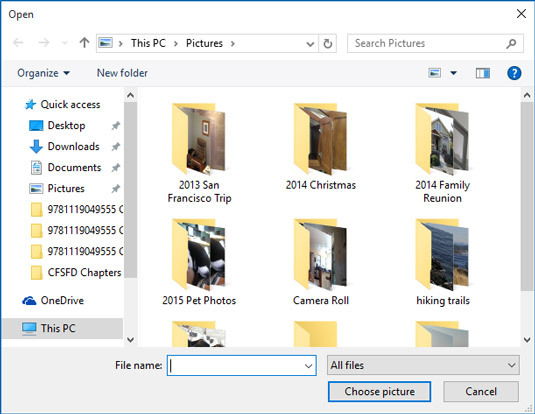 Click the Browse button and Choose a picture from the files that appear. Click the picture and then click the Choose Picture button to apply it to the active account. 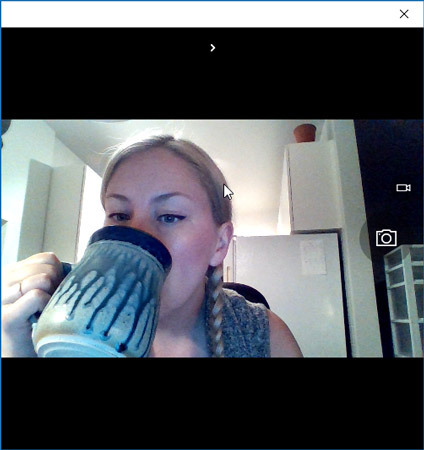 Click the Camera button under Create Your Picture and in the Camera app that opens snap a picture of a person or object near your laptop’s webcam (a built-in camera device). Click the Camera button to take the picture, and then click the Apply button (shaped like a check mark) to apply it to the active account. Many computers allow you to switch between a front- and a rear-facing camera to give you more options for taking pictures of objects around you. While in the Camera app, just click the Change Camera button to do this — if your laptop has two cameras.